Recorded in 1981, 7 years after his first masterpiece, E2-E4 (a chess move) consists in one continuous musical theme with variations of nearly one hour composed and played by Manuel Göttsching. The listen is pretty interesting as it mixes 70s' pure "kosmische" german electronica and break-beat sounds emerging at the beginning of the 80s' from the United States, prefiguring house music. The whole tune is built by superposition of spacey repetitive soundscapes. The song starts slowly with smooth echoes, to become more and energic with rising pulsing rythms. Then appears the main musical riff, both very trippy and dancing. The whole tune features arrangements around this theme. Some hypnotic passages reminds minialistic works by Terry Riley and Steve Reich in a spirit not far from Klaus Schulze's Audentity, which will be released two years later. Sometimes some musical textures dominate, sometime others... There are also quite welcomed floating and calm guitar solos. Although a bit too long, the whole record is pretty enchanting. 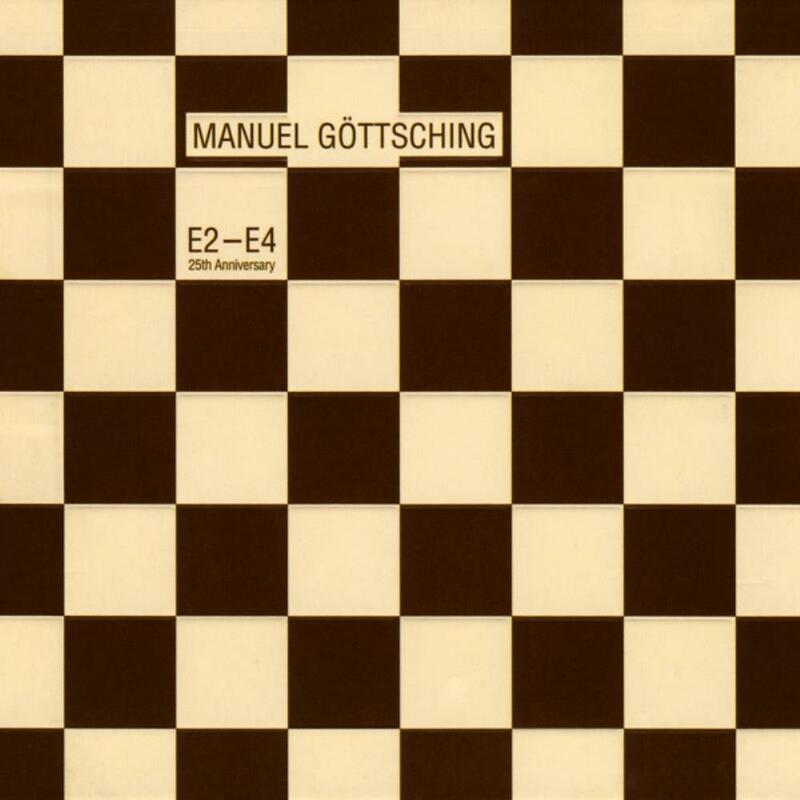 Very relaxing and futuristic, both spacey and energic, E2-E4 shows once again that Manuel Göttsching is clearly a true inventive guitarist and a groundbreaking musician ahead of its time. Strongly recommended to electronic ambient music and Klaus Schulze listeners !